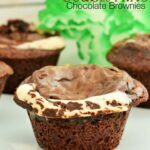 Double Mint Gooey Chocolate Brownies - Frugal Mom Eh! I really love combinations of mint and chocolate. Peppermint hot chocolate? Yes please! Chocolate thin mints? Yes please! 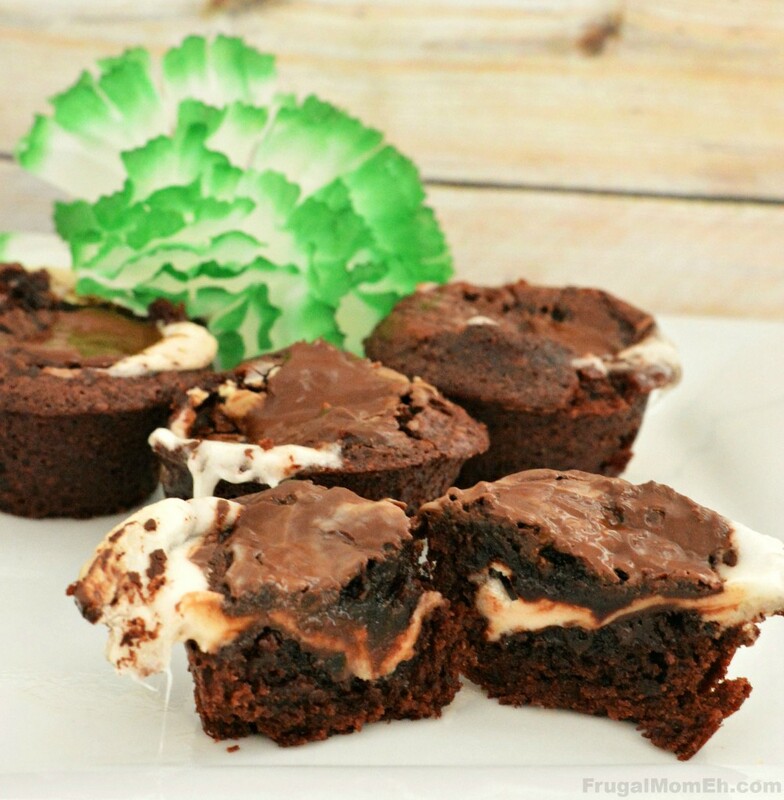 DOUBLE Mint Chocolate brownies that are just gooey and delicious? Yes Please! 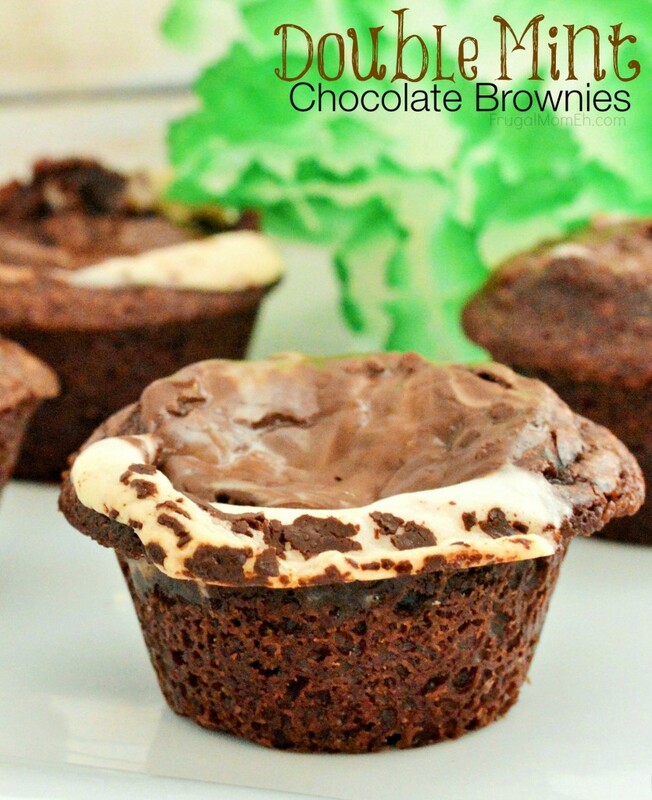 I experimented with these using a boxed mix and from scratch brownies. I normally despise boxed ones, but they worked much better for these as they set up a little harder. Feel free to experiment on your own with your family recipe though, it might just work! Preheat oven to 350°. Prepare brownie mix as directed on box. Generously spray mini muffin tin with non-stick cooking spray, covering the entire pan- not just the insides of the tin. Place 1 TBS batter in the bottom of each tin. Lightly press a York Peppermint patty in each tin. Top each mint with 1 tsp of brownie mix, and lightly spread until mint is covered. 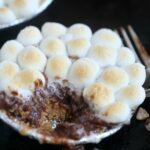 Remove from oven and immediately top with an Andes mint. Let sit for 1-2 minutes, then smooth with the back of a spoon. Remove from tin immediately and cool on wire rack. This is a wonderfully delicious-looking Brownie and I don’t think they would last very long around chocolates lovers. With the cake mix, they would be so easy to make. Thank you for the recipe. 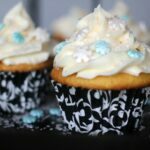 I have always believe that mint and chocolate is a magical pairing! I love mint and chocolate and can never turn anything with that combo down. 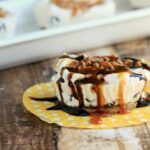 I am making this TOMORROW!! Mint and Chocolate are my favorite dessert combination! 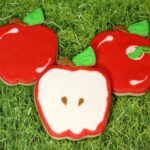 Those look delicious! I have made brownies like these before – so good! Yum, these sound really good! 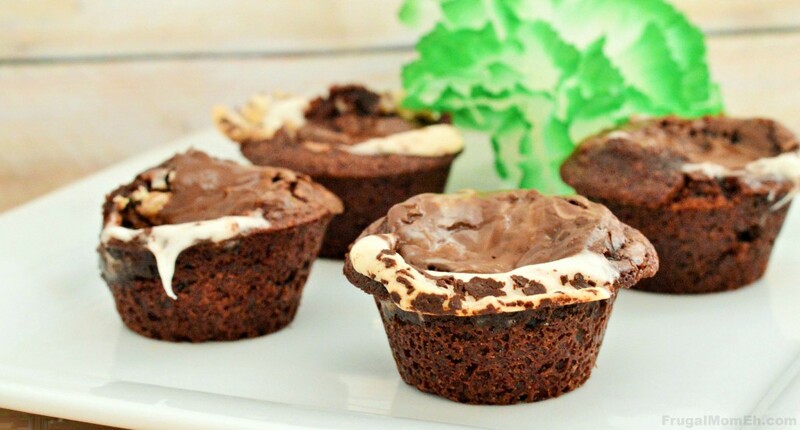 Love chocolate and mint together! York peppermint patties in a brownie?…..I’m drooling…. I’m really craving chocolate right now, so these would be wonderful! Oh my! Thank you for sharing! I will be trying this! These are just evil and I must try them!